Deep geothermal energy projects offer low-carbon, renewable base-load resources for electricity and heat production. Siting such projects can be challenging because past projects have induced seismicity. This suggests siting projects in remote areas away from populated areas and infrastructure, with minimal seismic risks. 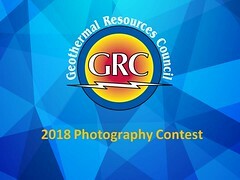 However, deep geothermal projects are most viable when they use residual heat, which requires proximity to heat consumers and thus, ideally, a rather urban environment. Hence, siting options carry various risks and benefits. It is informative to see how the public responds to these risks and benefits. This study investigates how well the public accepts various heat benefits when induced seismic risks are comparatively high or low. Respondents rated their acceptance of four deep geothermal energy scenarios in an online survey (N = 814) conducted in Switzerland and Germany. Conjoint and mixed multivariate statistical analyses show that the public prefers projects sited in remote areas and using residual heat for industrial applications. The results in Switzerland and Germany were rather similar, but the Swiss public was generally more positive. Importantly, induced seismic risks affected acceptance ratings most strongly. Thus, policies to reduce the risk of induced seismicity must be given the highest priority to enable an open dialogue.